In the past few years, I've really gotten into cream face products. That's probably because I've gotten older and my skin's gotten drier and cream products tend to add back a little of that missing glow. As a result, I've tried a wide range of cream blushes and found many that I like -- but I've wanted a nice cream highlighter product to pair with them (or to layer under powder highlighters for lasting power or a more intense effect) and have had a tough time finding one that I like. 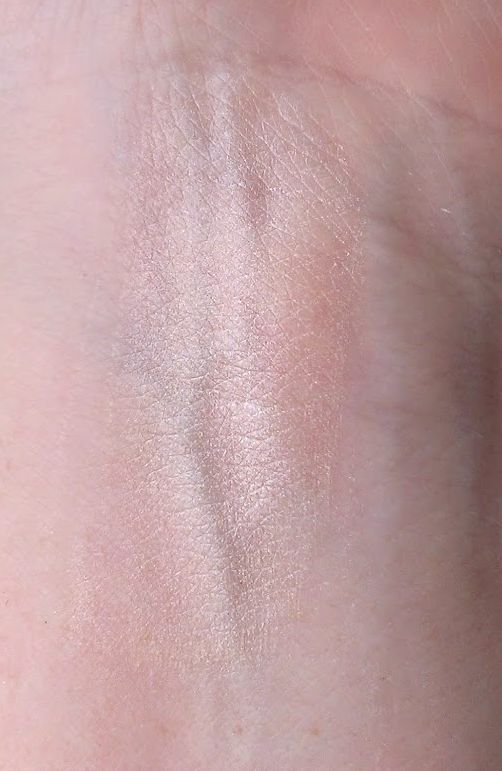 The main issue has been color -- so many of the cream highlighters that I've tried have a strong gold undertone, which gives them a warm look that doesn't work with cool-toned makeup looks. I decided to try the It Cosmetics Hello Light Creme Illuminator because I'm a big fan of so many other It Cosmetics products, but also because this cream highlighter actually looked like it might lean a little bit pink. 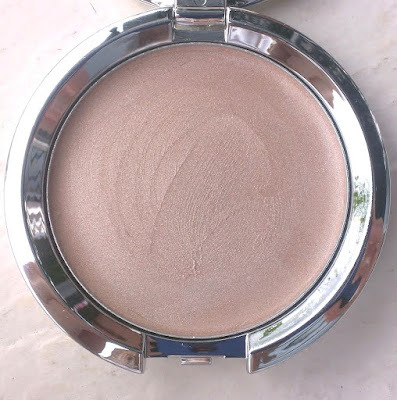 The Hello Light Creme Illuminator comes in a silver compact that contains 6.53 grams of product and with a mirror large enough for touch-ups on the inside. The highlighter has creamy, thin consistency that blends out easily. It doesn't contain any chunky glitter or shimmer, so it has a subtle, natural look on the skin, which makes it ideal for everyday use -- and anyone with fine lines, wrinkles, enlarged pores, etc. that they might be afraid of a highlighter accentuating. While the highlighter looks somewhat pinkish in the pan, it actually seems more neutral on the skin, like it has almost a whitish tone. I think it would work well on most skin tones, though it might look a little ashy on darker skin tones so I would suggest swatching it before purchasing. I usually use my fingers to apply the Hello Light Creme Illuminator, dabbing along the tops of cheekbones and down my nose. It also applies well with a synthetic brush. My one issue with this highlighter that it doesn't last quite as long as I'd like -- I feel like after about four hours, it starts to fade. That most likely has to do with the fact that it's extremely creamy and emollient. If you want to extend the lasting power, I recommend dusting a powder highlight in a similar shade over it to help set it. Overall, though, I do really enjoy this highlighter. It's become my go-to cream option over the past few months. It retails for $24 at Ulta, Beauty.com, and the It Cosmetics website. 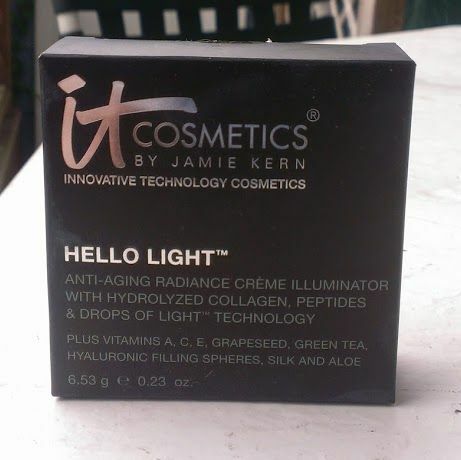 Have you tried the It Cosmetics Hello Light Creme Illuminator? What's your favorite cream highlighter? I like that it is subtle enough to use everyday. I also use the It Cosmetics cream blush. At 50, cream products are better for giving me a healthy glow. Sometimes I will add some powder blush and highlight over top....mostly special occasions. I agree about cream products -- they just look fresher and maybe more natural because they really blend into the skin instead of just sitting on top of it. I do layer cream and powder when I really want my makeup to last, though.